Tea with Abigail Adams, Witness to a Revolution. 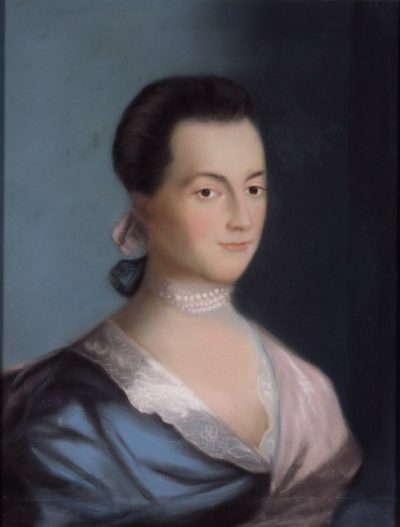 Join us for an afternoon with Abigail Adams, wife of John Adams the second President of the United States. As ‘Abigail Adams,’ Carol Bielefeld will present a lively portrait of one of the most fascinating and remarkable women in our nation’s history. Tea and light refreshments will be served. Ms. Adams was a witness to the momentous events of the American Revolution which separated her from her husband for much of their married life. A strong, independent woman, Ms. Adams managed the farm, raised 4 children, ran a business, bought land, and invested money. The year is 1801. John Adams has lost the election for a second term in office. He and Abigail have returned to their farm in Quincy, MA. For adults and children ages 10 and up. General admission is $10 ($8 for members of the museum and Noah’s New Americans). Period dress would be most appropriate, but not required. The program is presented by Noah’s New Americans (NNA), a junior history club at the Noah Webster House for children ages 10-15 years. Baked goods and other items will be available for purchase as a fundraiser for the club. « Why Black History Month?